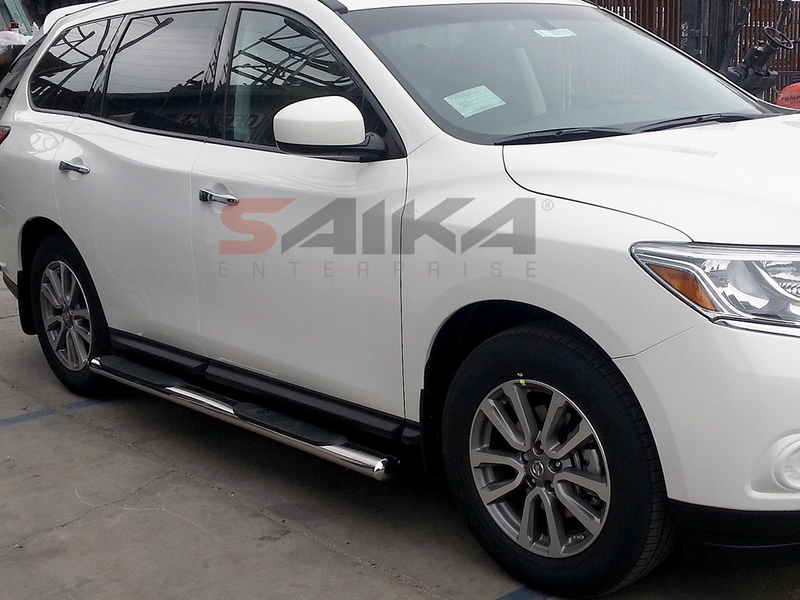 Saika Enterprise : 09-13 Infiniti FX35/FX37/FX45/FX50 4inch Stainless Steel Oval Side Step Bars [N-IN120P] - Contact for Price! 09-13 Infiniti FX35/FX37/FX45/FX50 4inch Stainless Steel Oval Side Step Bars Contact for Price! Made out of T304 high quality Steel in 4-inch oval tubing design for extreme durability and resistance against rust and corrosion. Polished to a chrome mirror finish.